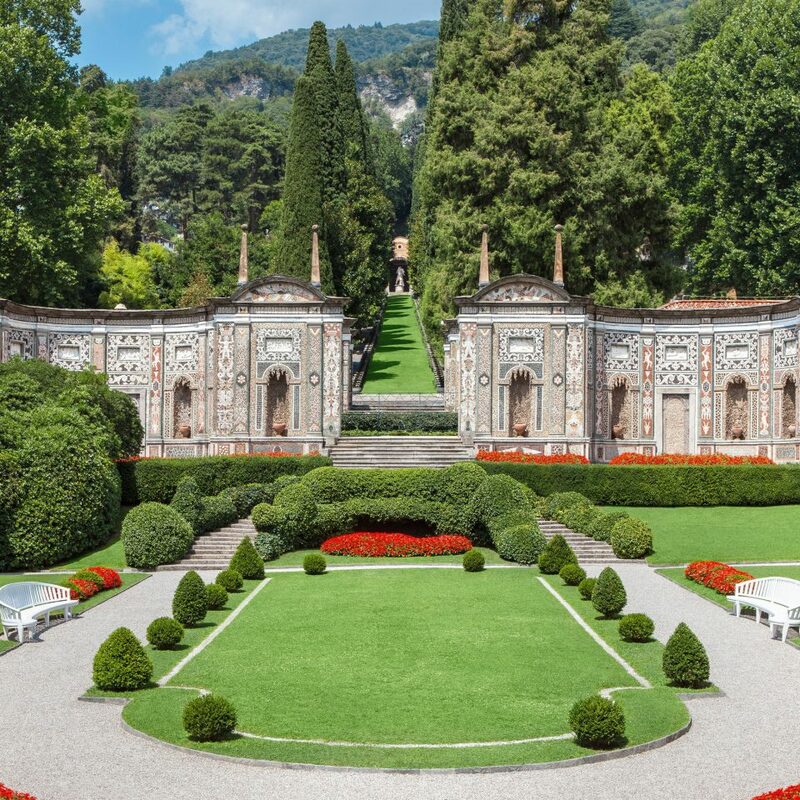 You won’t find Italian Renaissance style more grand than this 16th-century Tivoli palace, whose immaculate, fountain-filled garden was so influential to future European garden design that it has been recognized as a UNESCO World Heritage Site. 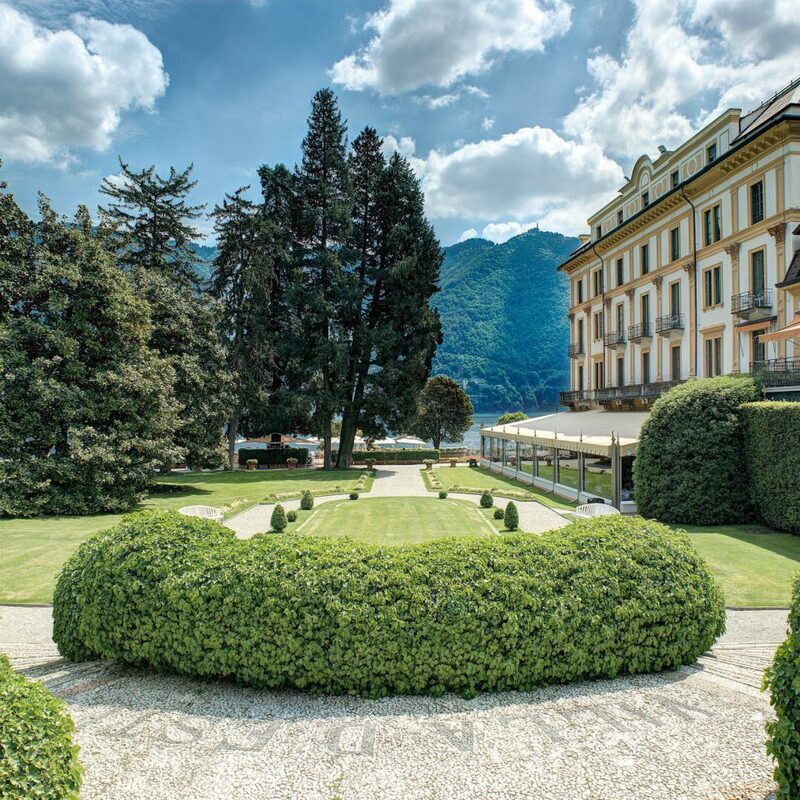 What was built as a summer home for Cardinal Tolomeo Gallio in 1568 has become, through the ages, a playground for European royalty and the most discerning of guests. 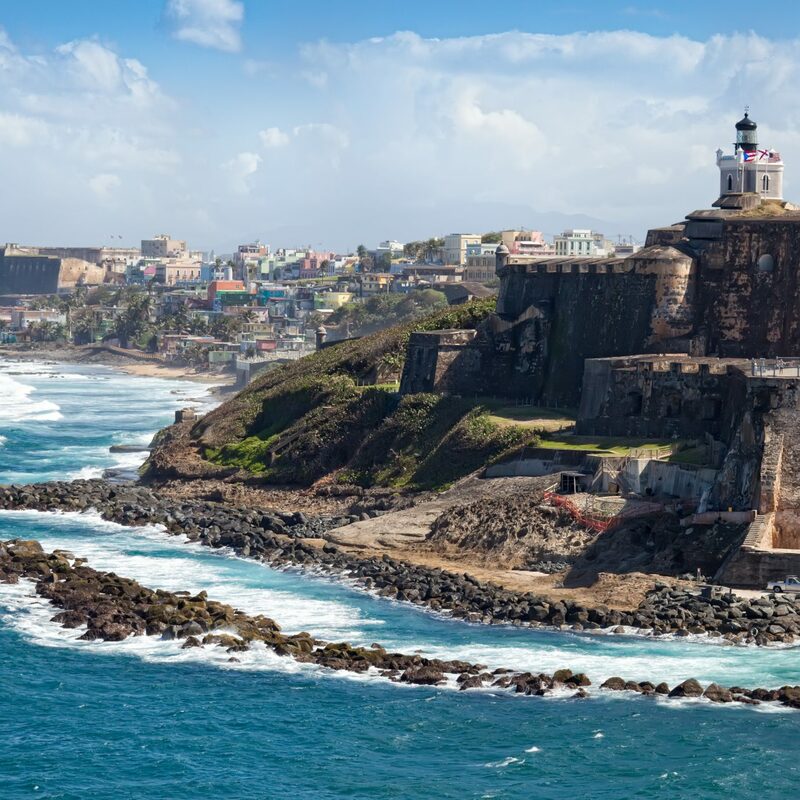 Stately staircases, extra-wide hallways, enormous flower arrangements, and a carefully curated selection of original paintings and sculptures all add to the allure. The terrace is the favored spot by guests for sipping evening aperitifs while gazing across the lake to the opposite hillside. The more casual sundeck is best for lunch. 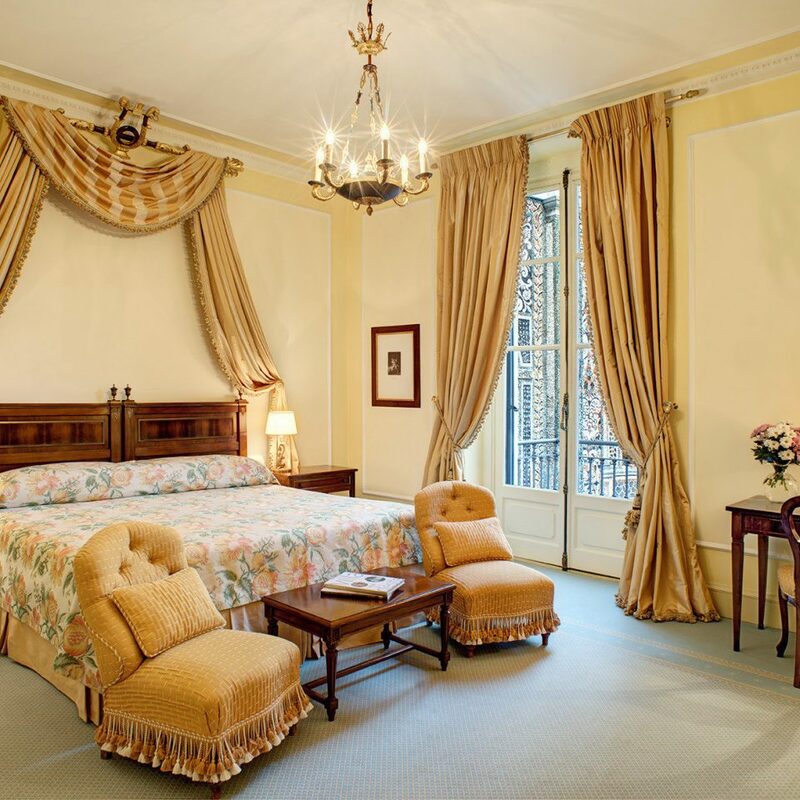 Each of the 152 rooms is individually decorated with covetable antiques, marble bathrooms, and oil paintings. 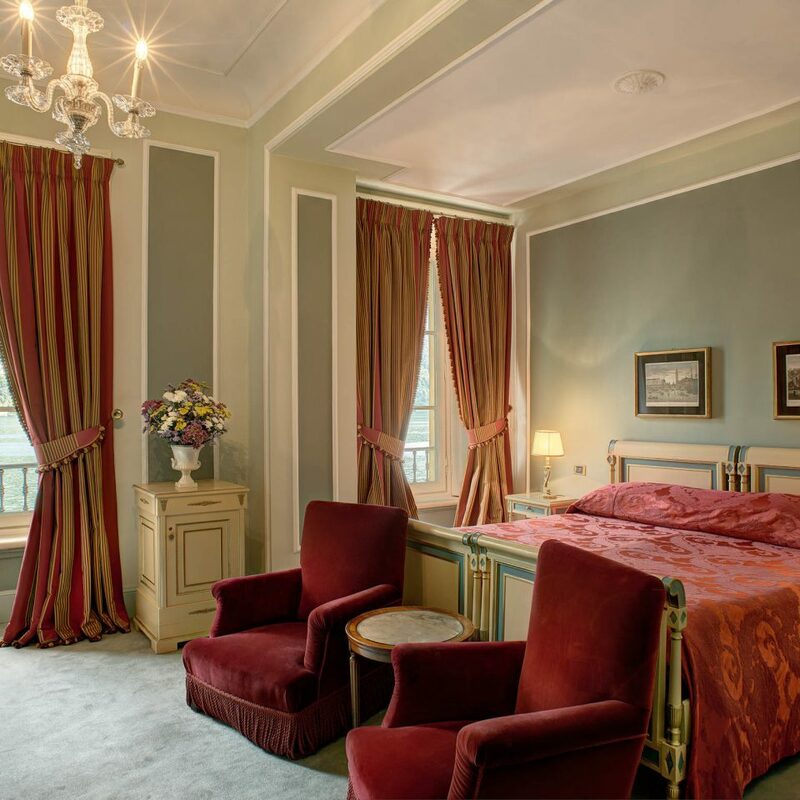 The covetable upper-floor rooms have better lake views, though even standard rooms look out onto the impressive Renaissance courtyard. Heavy striped curtains complement the pastel wallpaper and silk brocade, while touches like tassels, velvet, gilt, polished wood lend each room a rich, sumptuous feel. 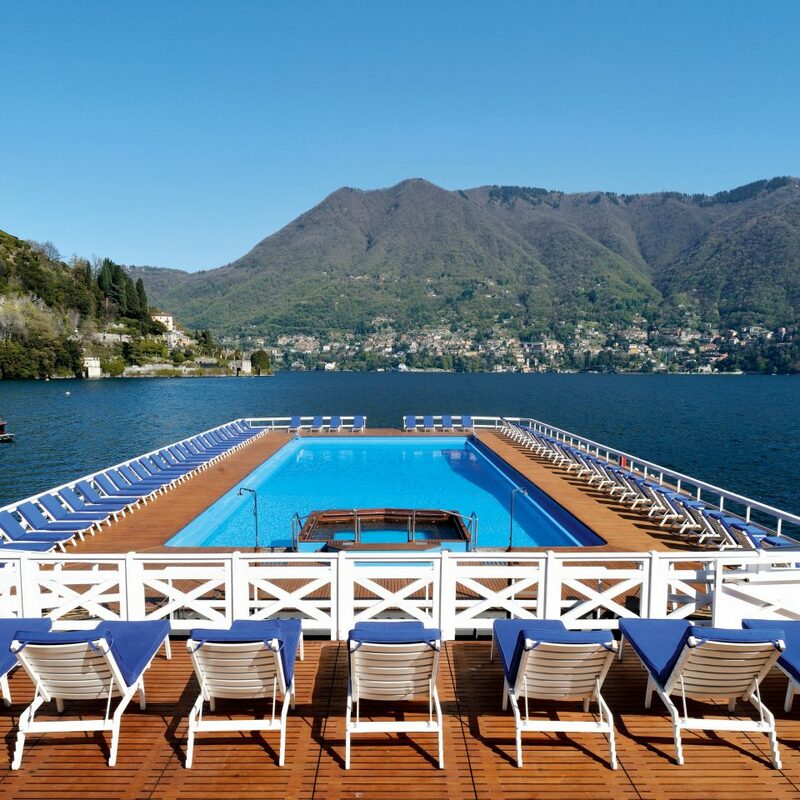 Swimming in the lake comes at a close second to Villa d’Este’s iconic floating pool, built on a pontoon that sits out on the water. 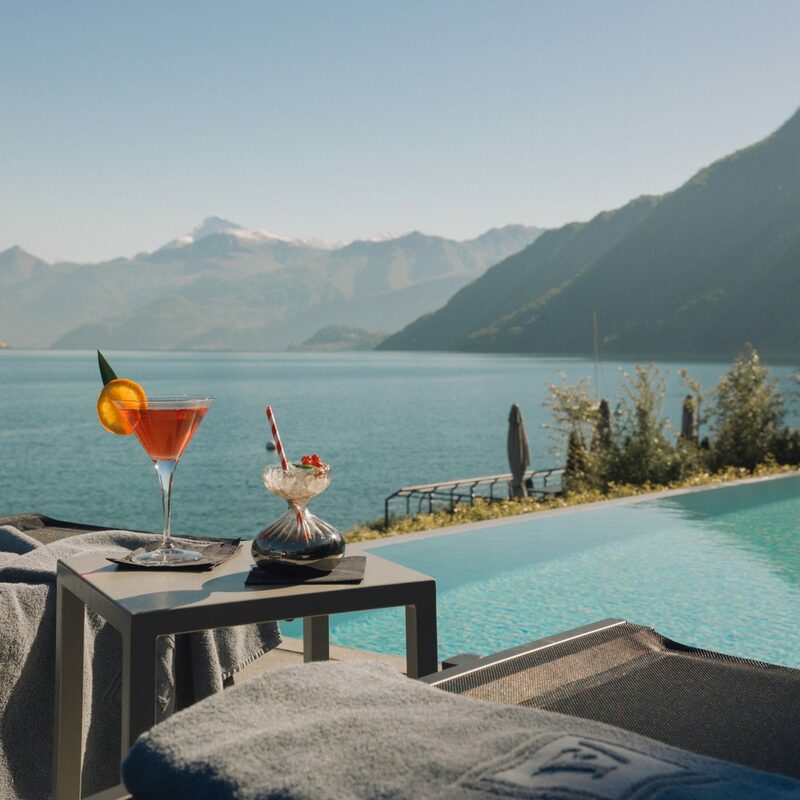 The pool, which is surrounded by wooden decking and rows of signature blue-cushioned sun lounges, also has a Jacuzzi built into the middle – an ideal place from which to observe the activity on the lake. 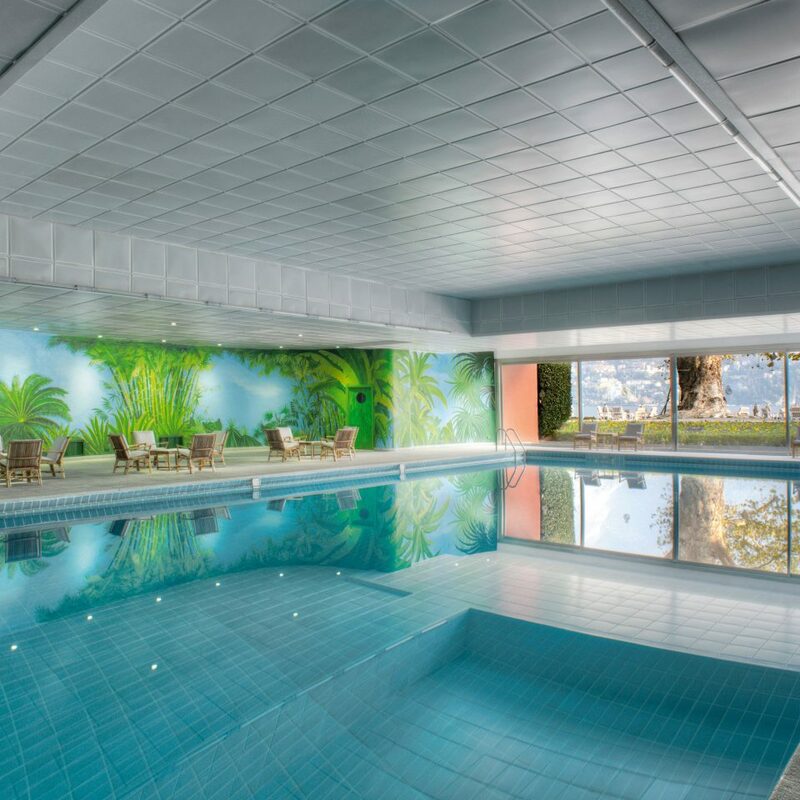 In the winter, check out the heated indoor pool instead. The hotel bar has live music and is generally full in the evenings, full of post-spa guests just returned from a massage or facial after a day of sun worshipping. 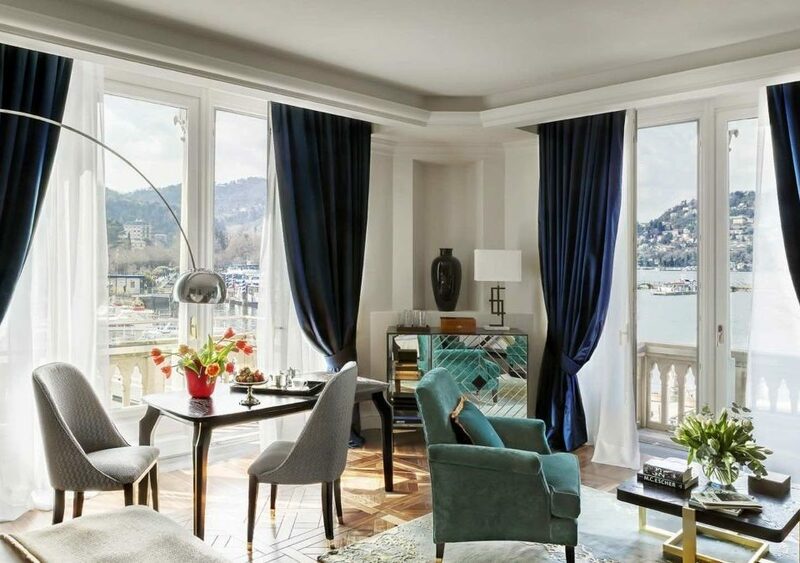 Lake Como itself is a celeb magnet, favored by the likes of George Clooney, Bono, Brangelina, and Versace. Because it’s just an hour’s drive from Milan, it’s possible to spend a day shopping in the city and still get back in time for a quick dip and pre-dinner cocktail at the villa’s Terrace Bar. 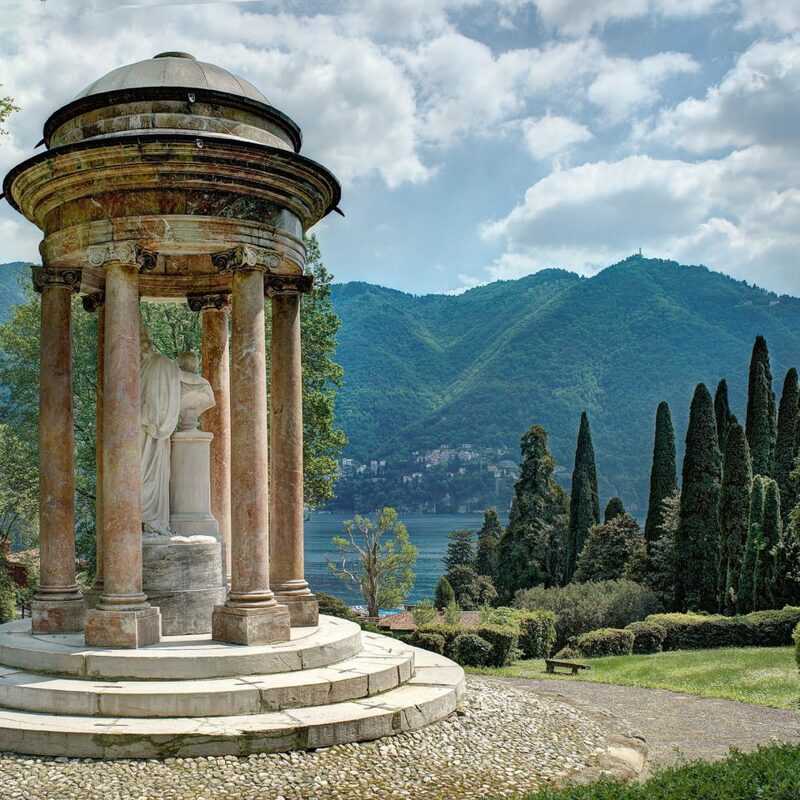 From Como, there are numerous walking and hiking excursions with views over the lake; ask the concierge to help you choose one. There are also a number of golf clubs nearby, most of which admit non-members. 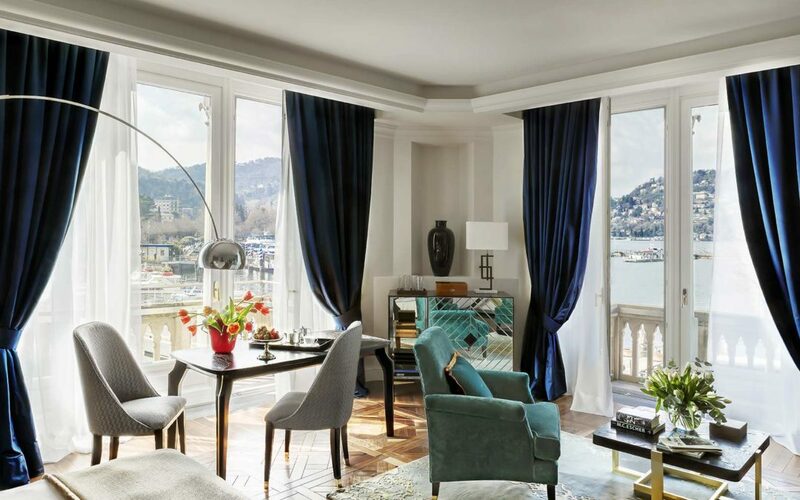 My wife and I travel extensively in Europe and for the past 10 years we visit what we consider one of our favorite 5 hotels in the world. 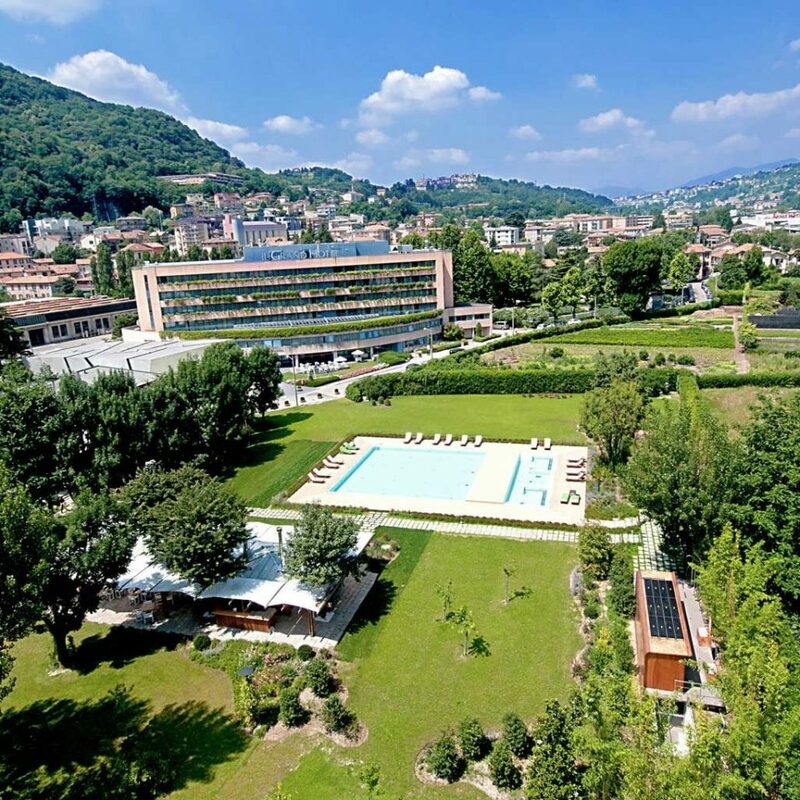 This hotel offers all what one may expect from the magnificent service to Luxury accommodation and of course fine dining or the casual lunch on the terrace by the lake. We have mostly travelled with friends to this incredible hotel and over the number of times we have stayed we have been made to feel like family. This place is to relax and be pampered- during the day we stroll around the fabulous gardens. 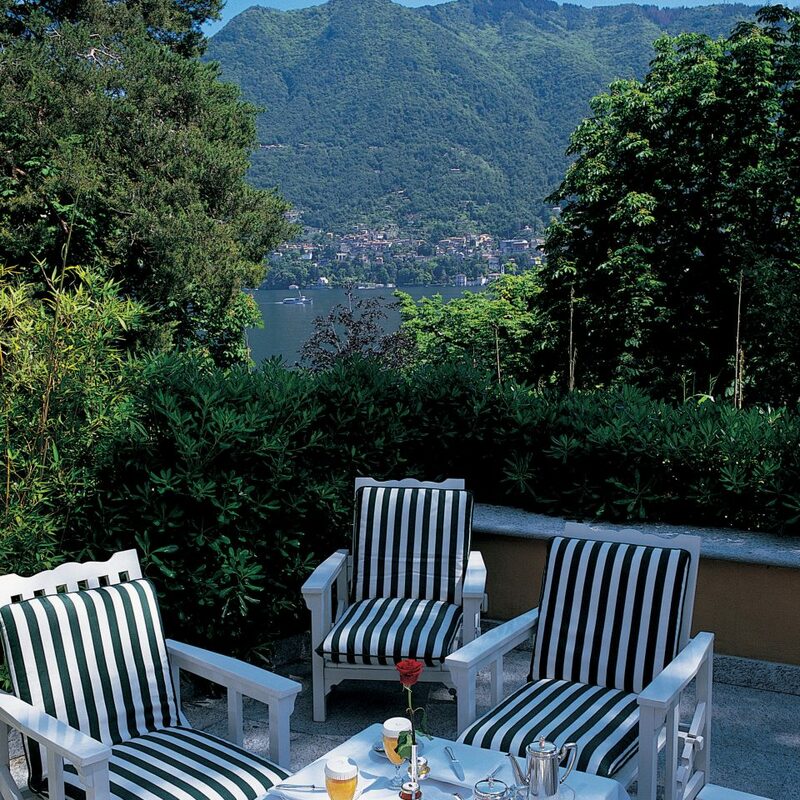 In the evening after we have enjoyed a lovely dinner in one of the restaurants we tend to sit outside enjoying the music and a evening nightcap again overlooking beautiful Lake Como. The executive team just Do It! and nothing is left for you to worry about. 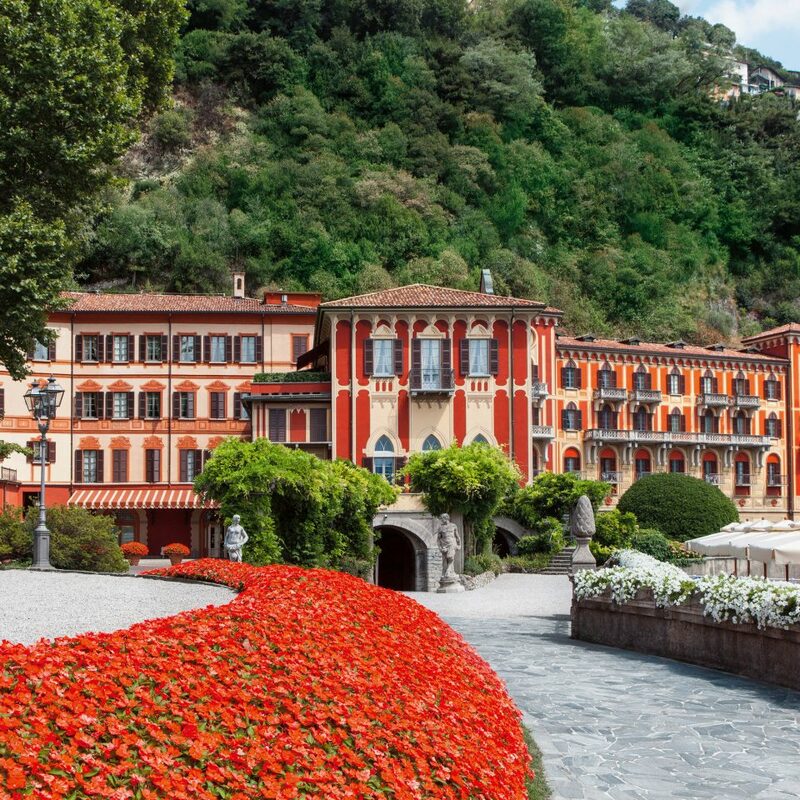 Perhaps a once in a lifetime chance but I was lucky enough to visit and have an impeccable experience at the Villa d'Este. 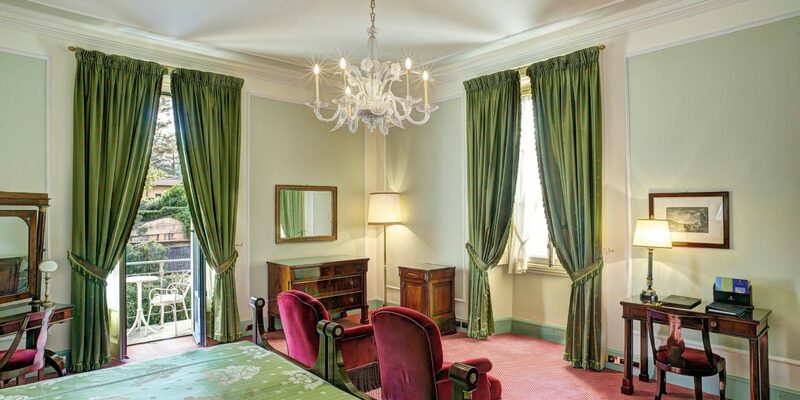 A step back in time in many ways with old school Italian charm, style and service that delivers perfection. Not what I can call good value for money as it is expensive but I can't think of many other places that offer such a complete experience. Purple velvet, cream-colored marble, wide view over deep blue water, the scent of flowers, bougainvilla, smooth hills. 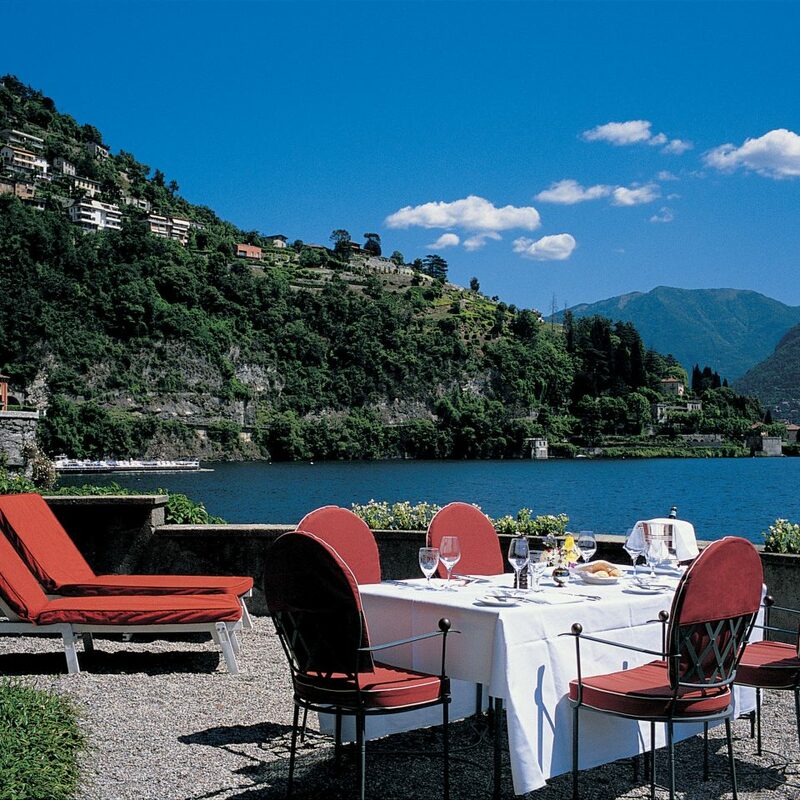 Italian lifestyle, as beautiful as can be - on the shores of Lake Como. 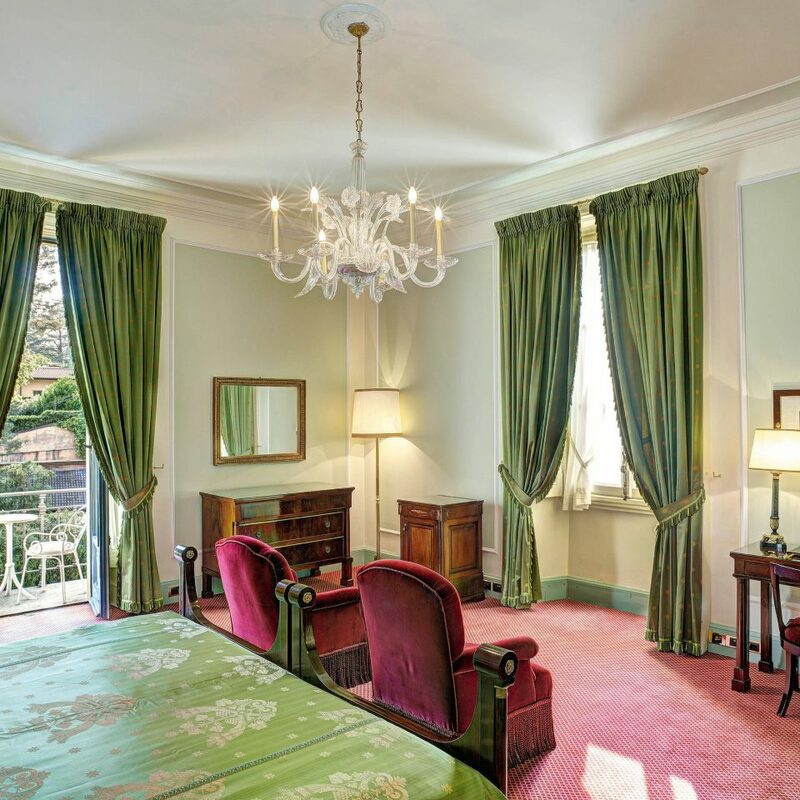 We literally have to tear ourselves away from our suite with this magnificent view of the romantic Lake Como, to finally see the rest of the almost surpassing impressions of the Villa d'Este. 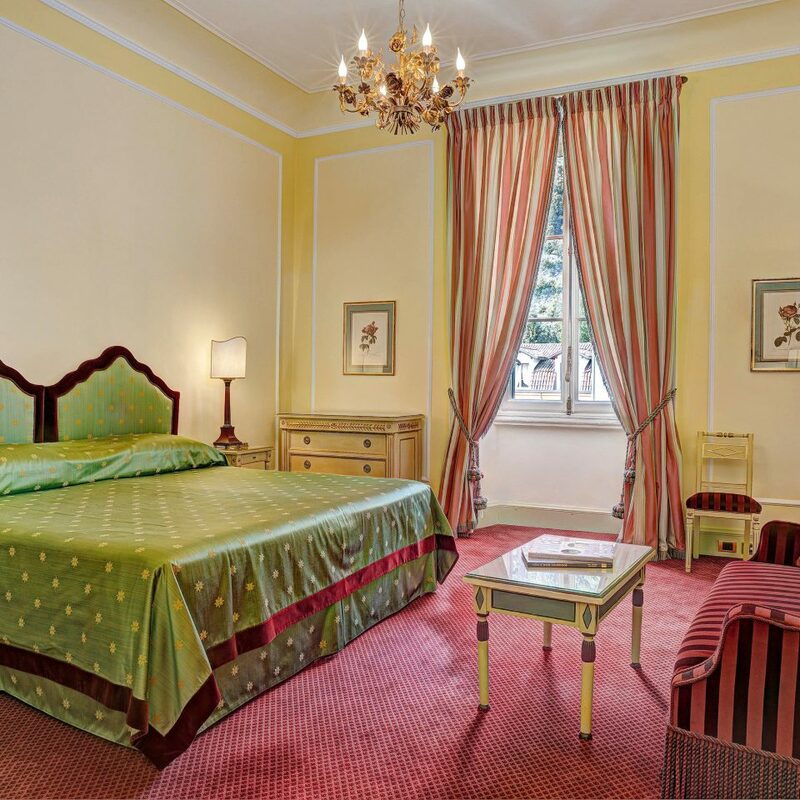 An Exclusive Junior Suite of such incredible elegance, in competing golds and reds, that we ask ourselves since arrival why we did not actually go there before. The warm color scheme of the entire hotel, marble, wood paneling, bright brocade and heavy velvet and the ultra-comfortable seating are complemented by the luminous glow of the appetizing Bellini, which have been served. Of course, the hotel terrace is as pretty as the suites in terms of appearance, as well as the hotel lobby is stuffed with good taste and memories of past centuries. Impressive luxury from the outside, impressive luxury inside. 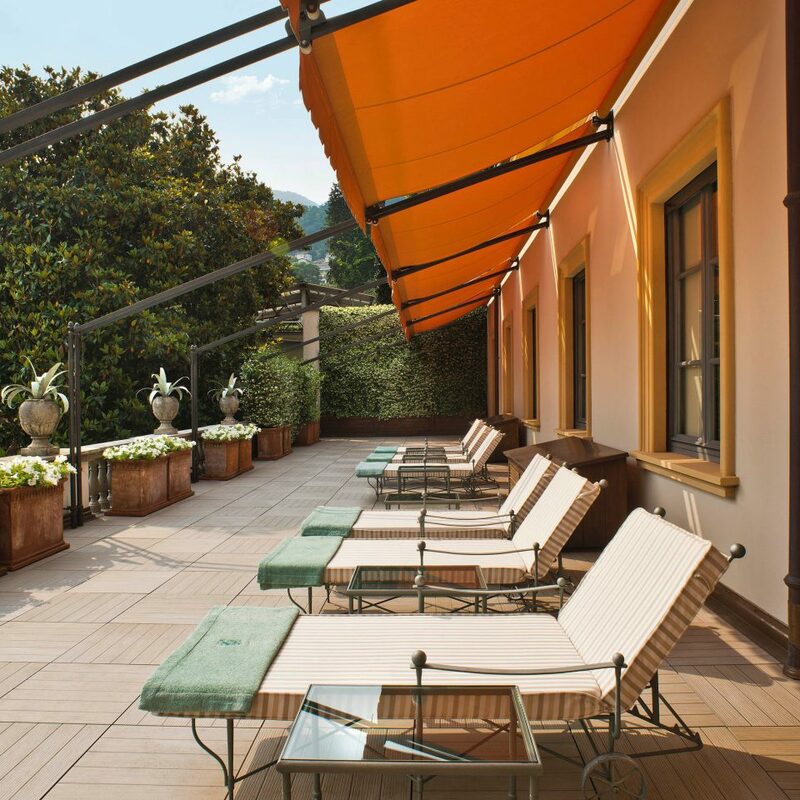 From the Canova Bar soft piano music fulfills the terrace, the beauty center of the Villa d'Este is modern, fresh, sophisticated, in the ZEN style. In the à la carte restaurant "Veranda" we enjoyed a special Italian vine to Tortiglioni with an unbelievably large amount of truffles. The villa has often been voted the best hotel in the world. We immediately feel privileged. Enjoyed this unbelievably exposed location, surrounded by a beautiful hotel world, in the midst of a ten-hectare park. Nothing can be faulted about this hotel, we were given a room to rest in off our transatlantic flight while our room was being prepared, our room was immaculate, and the grounds are beautiful. My only negative, is concierge service. We were sent to restaurants which only had other guests of the hotel despite having repeatedly asked for something more local. 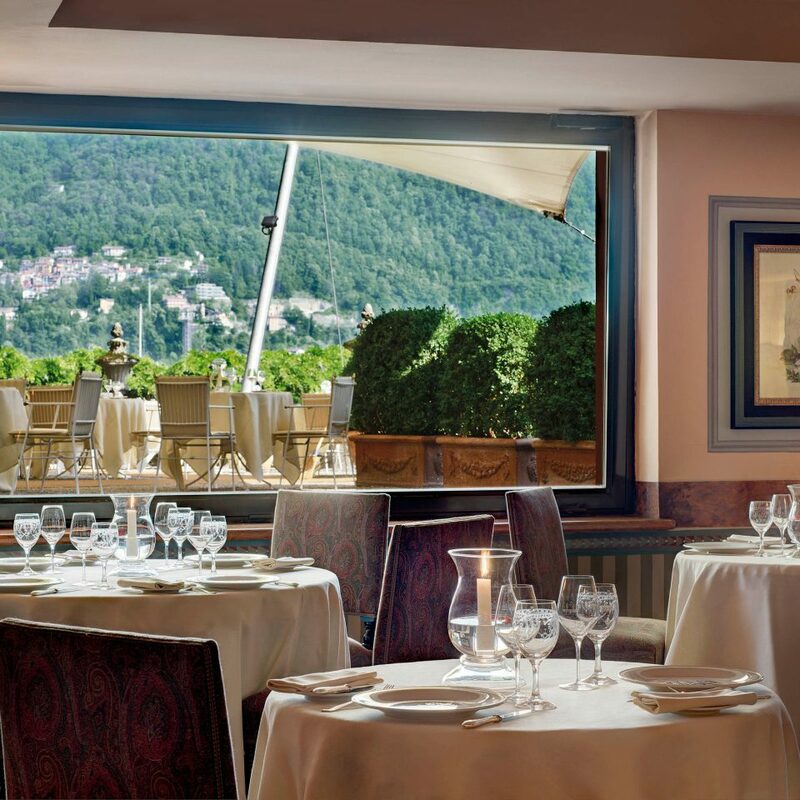 We had a car and could have driven to any local restaurant that they suggested but time and time again we found ourselves in a restaurant filled with Villa d'Este guests, and that is not what we had asked for. At times I felt like we were a cog in a wheel.